Water temperature control units circulate temperature stabilized water through the process for process temperature control. 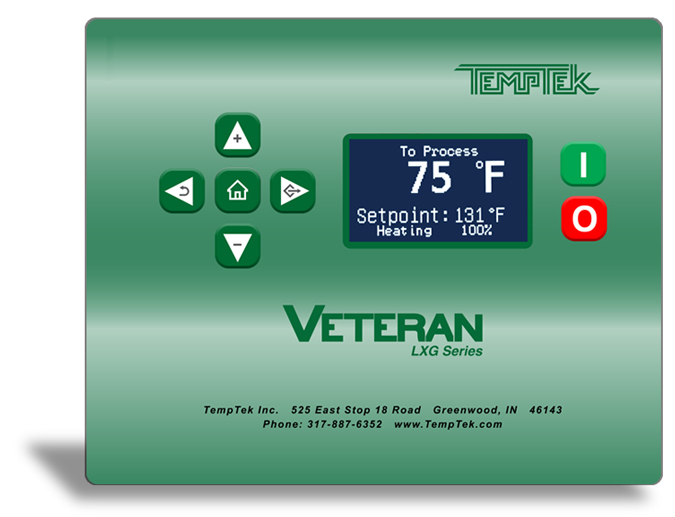 The temperature control range of this unit is 30°F - 250°F. A pump circulates water through the process. A heater and a cooling valve work together to control the water temperature. This temperature control unit requires a plant water supply source. 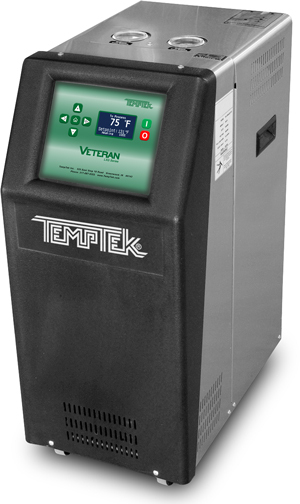 Temperature control units are portable, built on casters to easily move the unit between processes.